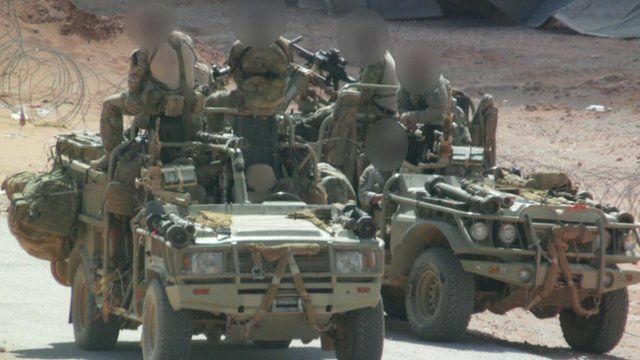 Britain's secretive and lethal force in Syria Jump to media player BBC News has obtained exclusive photographic evidence, showing for the first time British special forces operating inside Syria. BBC News has obtained exclusive photographic evidence, showing for the first time British special forces operating inside Syria. They have been working alongside moderate rebel fighters of the New Syrian Army in the battle against so-called Islamic State. The BBC has obscured the faces of the special forces to protect their identities.